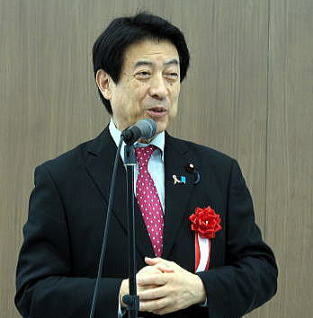 (L) Minister of Health, Labour and Welfare, Shiozaki made a speech as a congratulation greeting. 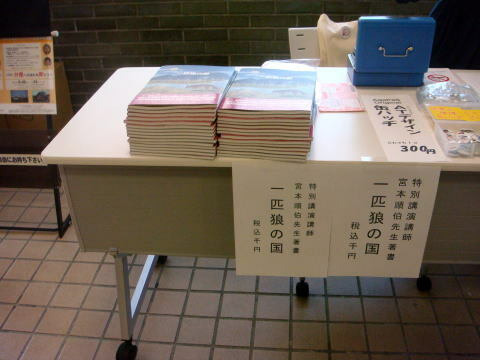 (R) Exhibition and sale of 'A lonely wolf country' at the convention site: All books were sold out. 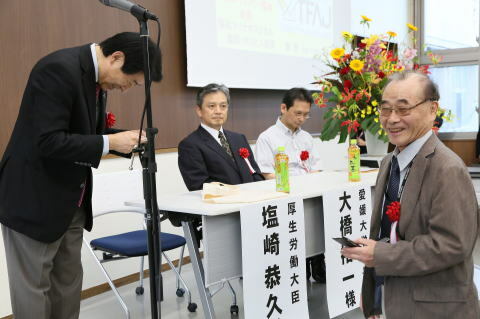 when I handed my name card to him, and told that I was talking about and am the author of the book of the Lonely-wolf country. 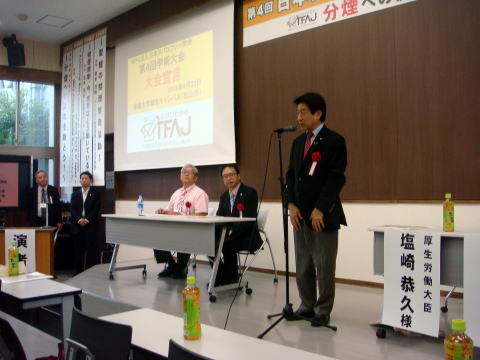 (R) Minister of Health, Labour and Welfare, Shiozaki made a speech as a guest speaker. 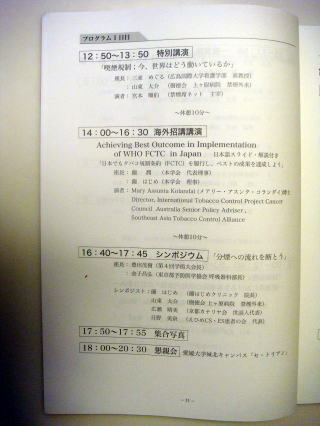 The above two photos were taken by Dr. Hidekazu Nakagawa, Tobacco-Free Advocacy Japan. 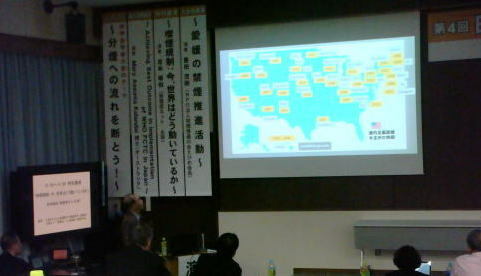 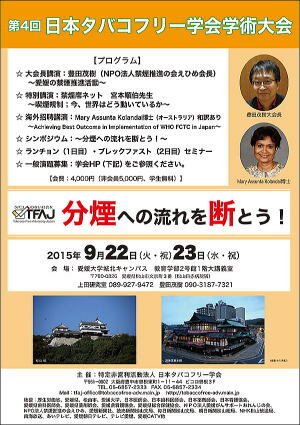 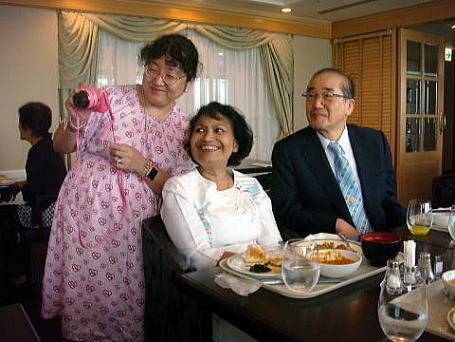 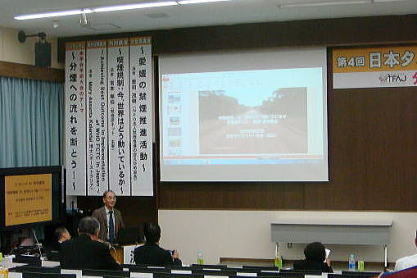 A guest speaker, Dr. Miyamoto presented 136 slide pictures. 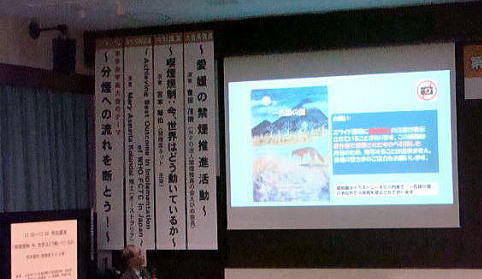 Most of them are copyright-guarded pictures of the book, entitled ' A lonely wolf country'. 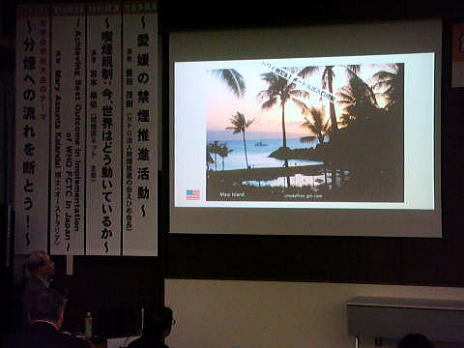 (L) This slide picture showed a yearly advance in a total smoking ban inside in the United States. 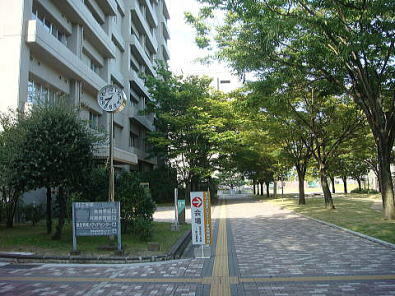 (R) Many Canadian and American states provide a law to prohibit smoking in the certain distance form the building entrance. 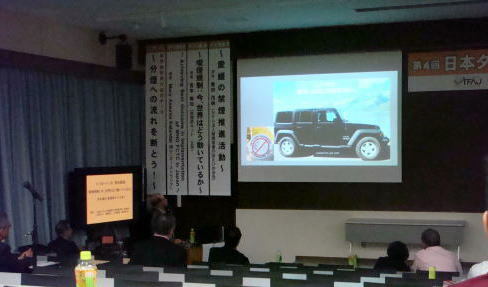 (L) All rental cars in the North America and Europe are smoke-free. 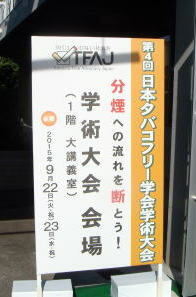 Smoking is not allowed inside.